What does it take to beat the best in the world? 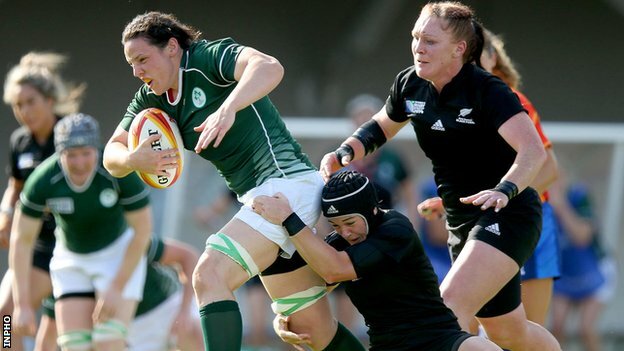 Well, Ireland’s Women’s rugby squad who famously beat New Zealand’s Black Ferns sang the now cult Disney belter Let it go on the eve of that famous match. And it looks like we’re the kings. The New Zealand and Ireland rugby squads can have the honour of singing the opneing lines, much like One Direction and Ed Sheeran got to kick off the 2014 edition of Band Aid! The All Blacks being their usual classy selves scooped up another Rugby Championship crown, their third in a row since the old Tri Nations was expanded to include Argentina in 2012. If you want to pick holes in the All Black machine, unlike 2013, the year that has just gone was not the perfect year. Their column of “W’s” was punctuated by a draw against a dogged Wallabies in the Sydney rain and then a defeat in Ellis Park to the Springboks. However, business as usual resumed on their northern tour that included a historic stop in Chicago with an impressive display that gave the USA Eagles a reality check regarding the distance North American rugby has to come to compete at the very top level, and then on to wins over England, Scotland and Wales. 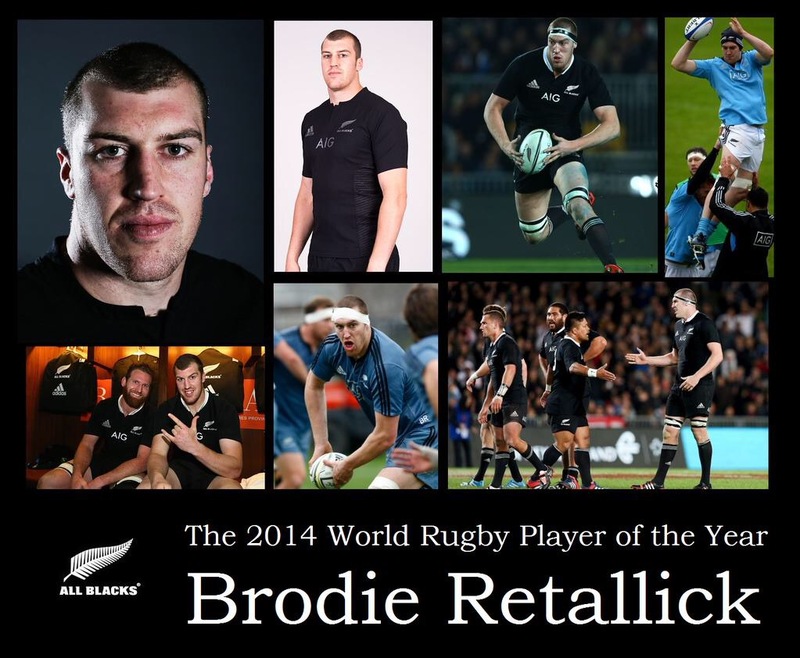 To end 2014 on yet another high, the All Blacks scooped the World Rugby Team of the Year and Steve Hansen and the brilliantly bruising Brodie Retallick took the Coach and Player awards, respectively, back to the Land of the Long White Cloud. Couldn’t hold on to beat France, heaven knows we tried! England must have been feeling quite a lot of inner turmoil as they watched Ireland lift the Six Nations from their hotel in Rome. The photos portraying their angst as they viewed events at the Stade de France unfold became something of the internet sensation. A common grumble coming from some quarters in the rugby media has been that as all aspects of the game become more and more professional, players are in some cases becoming overly trained in the sometimes treacherous business of how they handle the media. However, it would seem Toulon’s Martin Castrogiovanni’s was not in the mood for banal post match clichés after Toulon’s defeat to Leicester at Welford Road in early December. To say the Argentina born, Italian international let rip at his former club and director of rugby Richard Cockerill would be quite the understatement. Castrogiovanni’s “Peace and love” moment looks to follow Roy Keane’s “prawn sandwitches” into the annals of sporting strops even prompting a t-shirt immortalising the quote. 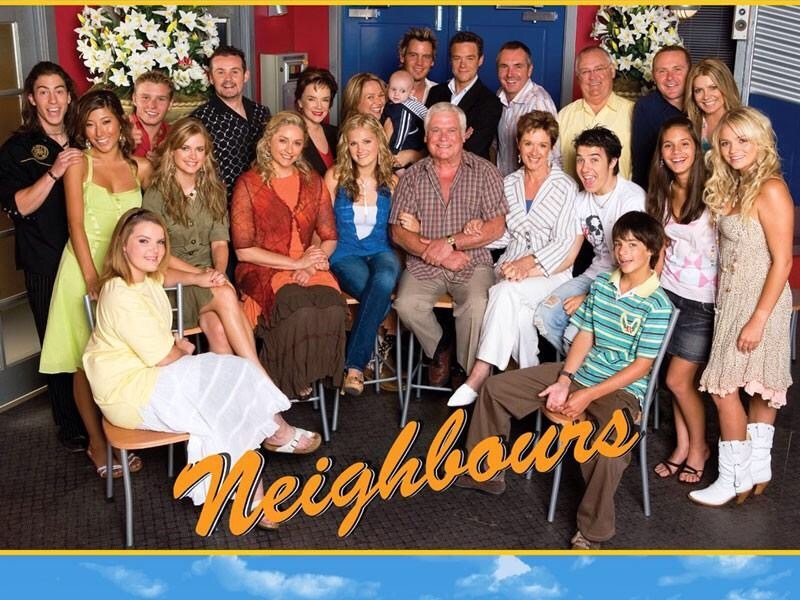 “@Rugbydump : http://t.co/XEdP5uUqei pic.twitter.com/ImQ8Q3pUGP” hi could we get a few please for the boys a training?? Look ahead and sing that anthem with pride! Those are three words that are intrinsically linked within Irish rugby. It is not that Leinster, Ulster or Connacht are any less proud or passionate than their southern rivals, it is just that the Munster Men have a particular knack of demonstrating those emotions. 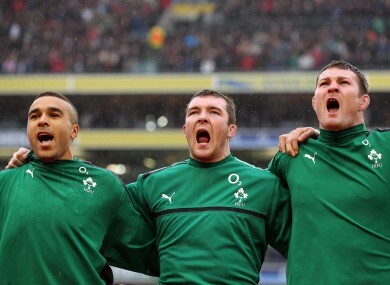 Peter O’Mahony is bringing that special breed of Munster pride and passion to a new generation. As well as singing the anthems with great gusto, the Cork man also plays with his heart on sleeve, this translates into that immense physicality and ballast that made him key to Ireland’s successful 2014. And it bothered us quite a lot! It is obvious cliché time. 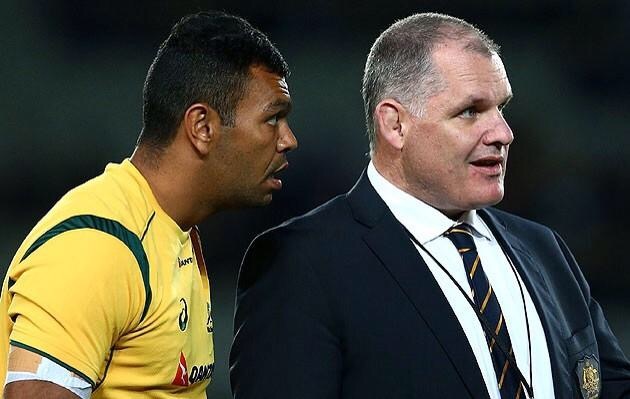 In 2014, the saga surrounding the Wallabies, in particular Kurtley Beale and business manager Di Patson in the build up to the resignation of head coach Ewan McKenzie would have put many a Home and Away and Neighbours plot line to shame. Regardless of who the goodies and badies were in the Wallabies sopa opera, the real shame is that the off the field drama majorly detracted from what should have been a big year for Australian Rugby. After a series whitewash over France in June and Michael Cheika’s Waratahs winning the Super Rugby title, 2014 should have been a break through year for the Wallabies. Instead they finsihed the year rebuilding around new head coach Cheika. Here’s hoping it is daring onfield actions that do the talking for the Wallabies in 2015. While his fellow country men were caught in a media storm, Matt Giteau was not just living la belle vie on the Cote d’Azur but was being lauded as the best player in the French club game after an epic double winning season with Toulon. 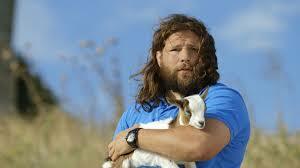 Toulon’s Heineken Cup and Top14 success will be remembered as the final act for Jonny Wilkinson the player. But perhaps the fact that 2014 saw Wilkinson’s transition from player to coach at RCT shows how the club has become home for him amongst a family a former international rivals such as Giteau. 2014 seemed to be the year that Ireland let a lot go. I’m just talking about letting a certain Mr O’Driscoll go into retirement. There seemed to be an unloading of psychological baggage that led them to finshing the year third in the world rankings and with much optimism looking to a certain tournament to be held in England later this year! Looking from the outside, it would appear that under Joe Schmidt Ireland have become very much so a team that as well as understanding the importance of the physical preformace have the mental side under superb control. During the march towards Six Nations success, it was notable how in interviews many of the players couldn’t help but expound on “the clairty” that Schmidt had brought to proceedings. This is linked to players explicictly knowing their roles and just sticking to the job at hand. The focus on this type of thought process seems to have made Ireland a very formidable side, their only loss of 2014 came against an England side in flying form in fortress Twickenham. Following a successful summer tour to Argentina came a truly golden Autumn in the Aviva. 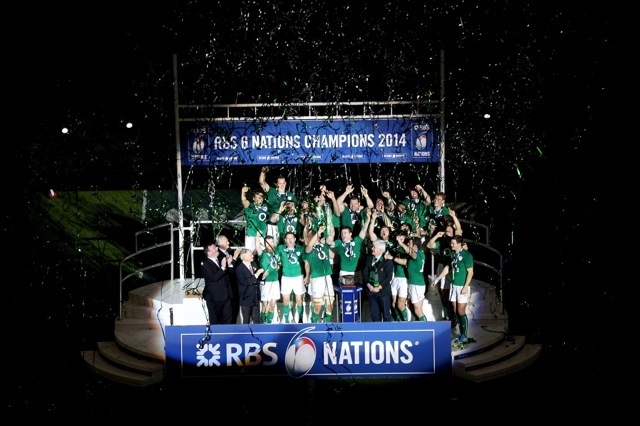 Victories against a complacent Springboks, Georgia and the Wallabies propelled Ireland to third in the world rankings at the turn of the year. The inspiration behind this rugby meets Frozen collaboration has to be saluted. It was not just the Ireland women that helped change perceptions around rugby, so much so that journalists were abandoning the human interest type features that usually mark much of the coverage of women’s sport in favour of complex analysis pieces. England knocked Ireland out in the semi finals and the Red Roses went on to be crowned World Champions. This success led to unprecedented media coverage for the Women’s game in the UK culminating in England Women being named the BBC Sports Personality Team of the Year, with head coach Tony Street claiming the coaching equivalent. Impressive in terms of recognition when you consider the same two awards were taken home by the British and Irish Lions and Warren Gatland in 2013. 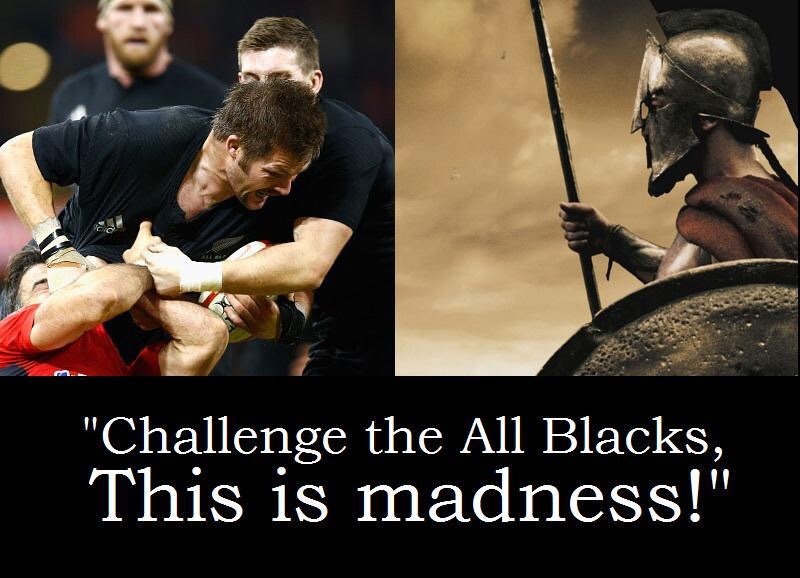 I am not sure if the peerless All Blacks captain Richie McCaw would actually sing this line but perhaps with his tongue firmly in cheek he could give the haters a giggle. 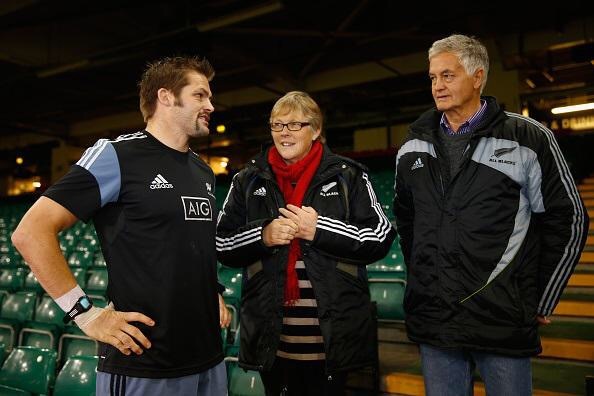 Mind you those rugby fans of “the McCaw is a cheat” school of thought were emphatically silenced as the openside flanker continued to make rugby history in 2014. As well as the silverware collected by the All Blacks, the Otago born openside hit yet another significant milestone in his career. To reach 100 test caps is one hell of an achievenement but the World Cup winning captain showed he is a rare breed by becoming the first ever player to captain his country 100 times at test level. That perfect BOD is gone! As sung by a certain Irish centre to mark his retirement…. Enough said! The Stade de France never bothered us anyway!